SS Engineering manufactures Reactor vessel with proper design and analysis tool like auto cad , catia, ansys. 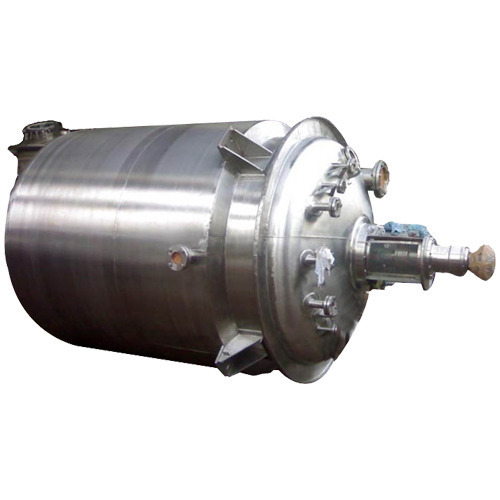 Due to design flexibility our reactor vessel are use in various processing industries like Chemical, Pharmaceutical, Petrochemical, food Processing and much more industry. besides the Processing industry our Products are also used in variour Process like- Batch Process. Continuos Pocess. Semi batch Process. Catalytic Process Homogeneous Reaction Hetrogeneous Reaction. In hetrogeneous Process the reactin may take between- Liquid-liquid. Liquid- Solid. Liquid- Solid Gas. Solid- Solid Gas -Solid Gas-to Liquid. Founded in the year 2011, S. S. Engineering is an eminent name in the market, highly engaged in manufacturing, an inclusive gamut of Heat Exchanger, Air Receiver Tank, Industrial Reactor, Sparkle Filter, Storage Tank and much more. Our offered products are designed at our end employing the optimum quality raw material as per set industry guidelines. These products are extremely well-liked in the market owing to their easy installation, longer life, reliable performance, less maintenance, and reliability. We provide Plant Design Service and Fabrication And Installation Service. Under the able guidance of our mentor Mr. Junaid Ahmad (Partner), we have fixed a place in this industry. He is a noteworthy personality has made us work under the stern discipline essential to meet the separate as well as the administrative goal.